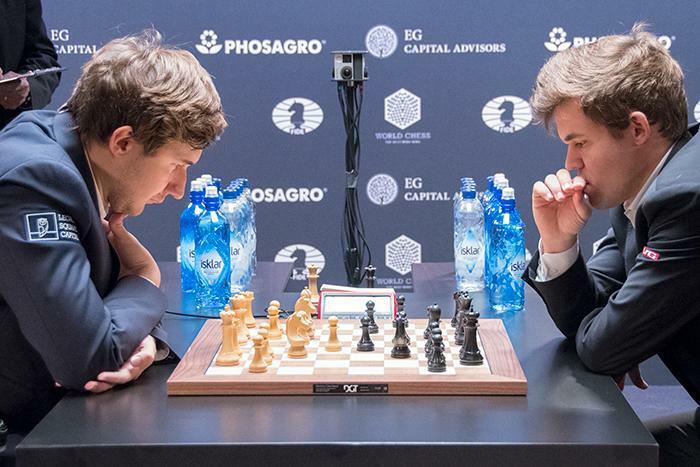 Yesterday the chess world concluded one of its most historic events of the year: The World Chess Championship 2016. This year saw Carlsen faced with his biggest challenge yet, for Karjakin was able to hold out throughout the classical games and even achieve a one-point lead (briefly) in Game 8. The results were finally decided in hair-raising tiebreakers where the Norwegian routed his opponent 3-1. With so many instructive games in the past two weeks, I cannot resist going through some of them. Hence, I will dedicate a new series of articles to analysis of selected WCC 2016 games. Don't worry though, I haven't forgotten about wrapping up the doubled pawns series I started last month! What better way to kick off than with one of the match-deciding games from the tiebreakers! In the previous game, Karjakin escaped with a miraculous draw after sacrificing several pieces and pawns to force a stalemate. Going into the final two rounds, we will see whether he can continue his unbreakable spirit, or whether Magnus will finally wear him out. You may be wondering whether White could simply wreck Black's pawn structure with 12. Bxe6 fxe6. Yes, White does get doubled pawns, but they are not easily attacked in this closed position. In fact, they may even help Black by controlling more squares in the centre and opening up the f-file for his rook. 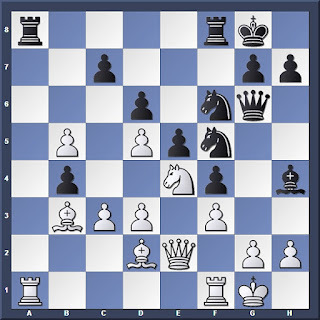 While damaging White's pawn structure Black has to give up his bishop pair, but this isn't particularly alarming since the two bishops cannot fully unleash their power in this closed position. Making room for an f5 push, expanding on the kingside while keeping the centre closed. 14... c6 comes into consideration, giving Black's pawn centre some free reign. 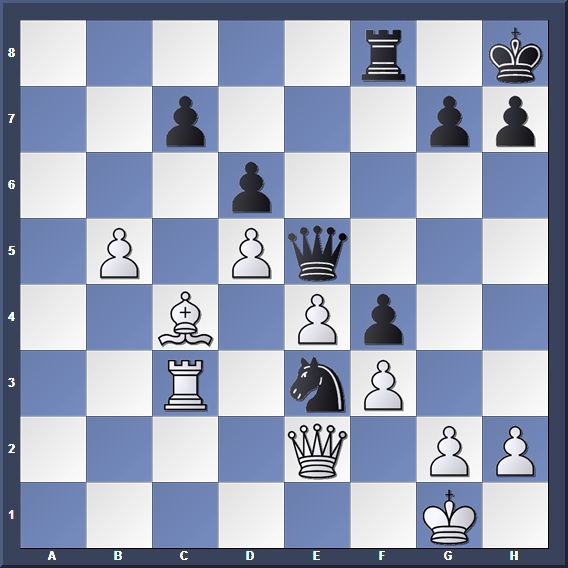 However, he wouldn't want to undouble White's pawns and open the centre for the bishop pair, so this plan is cast aside in favour of the main line. Things are starting to go Black's way. While White has the bishop pair, one is blockaded by the enemy pawns, while the other babysits a friendly pawn on d5. This is why Carlsen chooses to keep the centre closed. Bringing reinforcements to the kingside. Since Karjakin can't do anything about White's plans for now, he tries to find counterplay on the other wing. Here, the aim is to push a4 and (hopefully) get the light-squared bishop onto a better diagonal. A natural and solid looking move, preparing 21. Ra2/Rf2 as a response to 20... Nh4. But some consider this questionable: White's queen is cut off from interfering, and the e3 square becomes a tempting outpost for the enemy. For now only the bishop on f1 stands guard over it. White needs to be watchful of a potential bishop sacrifice on g3, which would open up the h-file and bring the pawn onto g3, covering the White king's escape squares. This is a common attacking motif against an undefended kingside. Magnus creates problems for his opponent, who was starting to run into time trouble. The wrong choice made under time pressure. 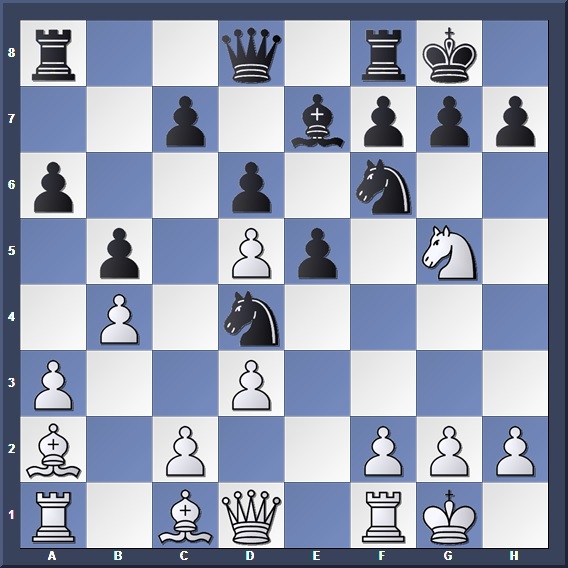 This lets Black exchange on d4, weakening e3 and giving White multiple pawn weaknesses. After 23. bxa5 Rxa5 24. Ra2! bxa4 25. Rxa4 Rxa4 26. Bxa4 White has achieved what he wanted: Get some space for his bishops. While Black still has strong pressure on the kingside, at least White can give him some problems on the opposite wing. Black chooses not to take the extra material, since he has a hanging rook and a vulnerable d4 square to take care of. 24. Rxa8 Rxa8 25. cxb4? Nd4! The extra material is worth nothing since it comes in the form of isolated doubled pawns. 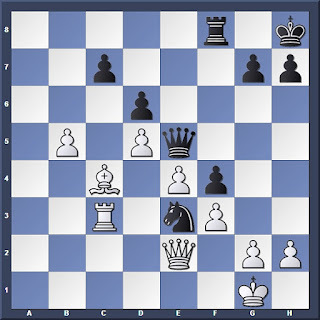 With the bishop no longer covering e3 Black can brazenly step in. Karjakin's position is becoming very cramped, and the fact that he is down on time isn't helping at all. Setting up a trap. The key is that Black's king is under indirect fire by the light-squared bishop, which means the d5 pawn cannot be taken straightaway. 26... Nfxd5? 27. Qxe3! fxe3 28. Bxd5+ Gaining a rook, bishop and pawn for the queen. 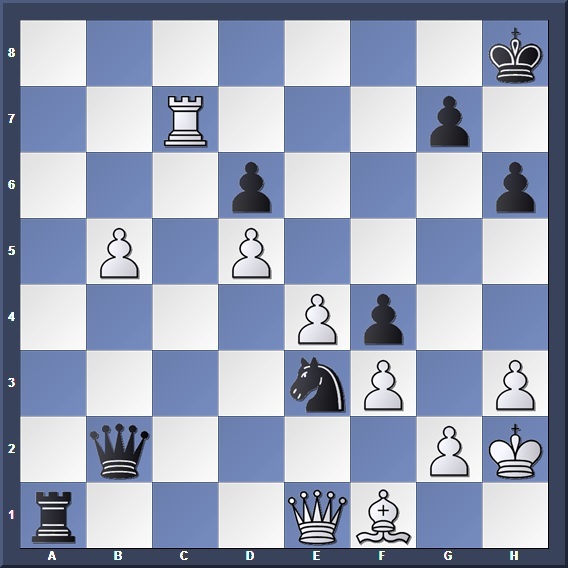 But what is more important is that Black's attacking strength is severly reduced, and the e3 pawn will fall very soon. 26... Nexd5? 27. Nxf6+ is even worse for Black, for the pin ensures he remains a piece down after the exchanges. Finally, 26... Rab8? falls prey to a discovered attack: 27. Bxe5! dxe5 28. d6+ $1 Kh8 29. dxc7 Rbc8 30. Nd6 At the cost of his bishop White gets a powerful passed pawn. It seems weird to retreat from the kingside when you were putting so much pressure on it. But flexibility is a virtue of war, and here Black switches sights to attack the queenside weaknesses. Stepping away from the line of fire. Now Black threatens to capture on d5. 30. Bd2 with hopes of getting rid of the e3 knight fails after 30... e4! 31. Ra3 exf3 32. Qxf3 opening up the e-file as an invasion point for Black's queen. There is no way White can trade on e3 now, otherwise a passed pawn is born. Black has the edge with his strong knight, and his position has less vulnerable points than White's. But White still holds the fragile line with his bishop pair. Can the world champion find a breakthrough here? Sacrificing a pawn to gain entry. White is very happy to undouble his pawns, so why not? The point of 30... e4, to clear the d5 square as a staging point for the invasion. Black's dark-square dominance is indisputable. Cold-blooded engines would not hesitate to play the counter-intuitive 36. Ba2 temporarily halting Black's invasion of the 1st rank, but for a human to find this with less than 5 minutes on his clock would be too much to ask. Threatening a mate in one; the next move is forced. With seconds left on his clock, Karjakin makes his final error. But the endgame was already extremely difficult to defend. 38. Rb1 was the only defense; 38... Qf6 39. Be2 Black still maintains a huge advantage but has no immediate win. 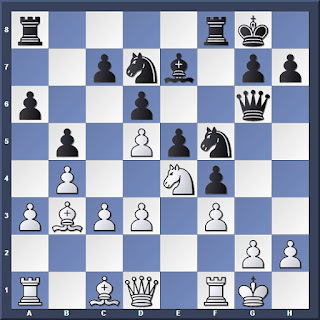 White must give up the queen or face ... Nxf1+/Qxg2#. With this win Carlsen gains a huge morale victory; he only needs a draw in his next game to defend his title!